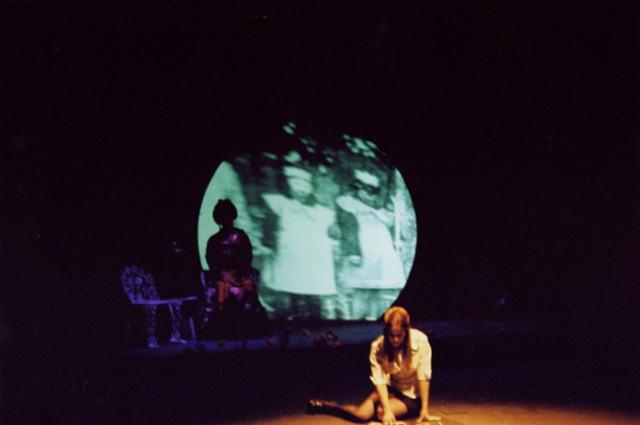 Date: September, 2001 Venue: Scene Dock Theatre, U.S.C. U.S.C. 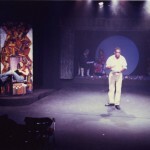 presented the original production of the play. 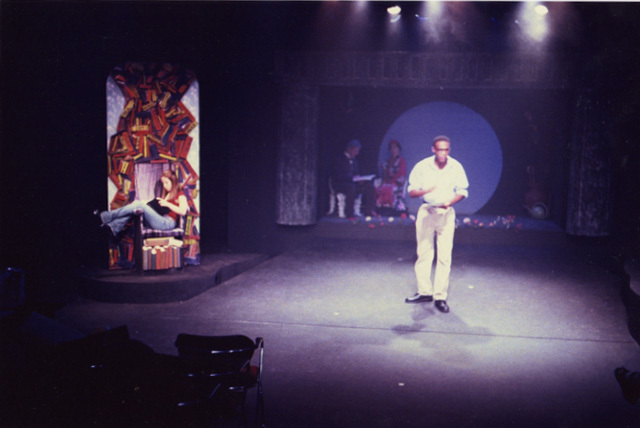 The set was an amorphous void which included a raked stage, an upstage mini-proscenium arch, and a “moon” which acted as a projection surface. The rake was tricked out with trap doors, and secret panels that allowed smoke and fog to be pumped into the space.